Sleep comfortable while travelling with the TEMPUR® travel pillow. 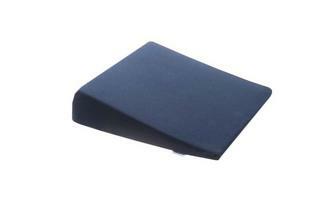 The pillow molds to the shape of the head and shoulders, holding the neck and providing needed support for your muscles. 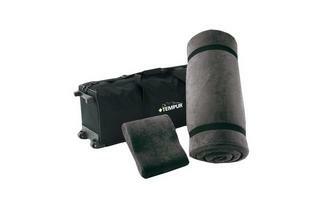 The TEMPUR® material helps to adsorb the jolts and vibrations from travel in order to make your flight more enjoyable. Designed to fit across your shoulders, the TEMPUR® Transit Pillow gently supports the head and neck allowing you to sleep more comfortably when travelling. Because the temperature sensitive visco-elastic filling forms to you with minimum counter pressure, you instinctively relax. The soft grey fabric cover is also removable for washing. Cover composition: 75% cotton, 25% polyester laminated to a thin layer of soft foam. Please do not attempt to wash, sponge or dry clean the pillow itself. Doing so will invalidate your product guarantee. 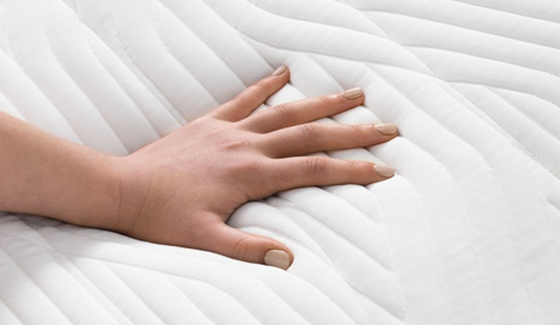 There is a high possibility you will cause irreversible damage, destroying the benefits of comfort and support which the patented TEMPUR® material provides. For more hints, tips and general information on looking after your product, please click Caring for TEMPUR now. This item is made in Denmark. This item contains foam fillings which conform to Schedule 1 Part I test. This item contains fabrics which pass the appropriate tests specified in the Furniture and Furnishings (Fire) (Safety) Regulations 1988. This item does not include a Schedule 3 interliner. Carelessness causes fires, avoid open flames.